From June 13-16, 2017, the Collegium for African American Research (CAAR) meets for its biannual conference in Malaga, Spain, the closest European geographical area to Northern Africa and the historical site for encounters between diverse peoples from what we now call Europe and Africa. Juan Latino, the first Black man to earn a permanent position at the University of Granada in 1565, offers a useful perspective on the negotiation of racial subjectivities in the emerging global empires of Europe. Latino addressed King Philip II with the following remark: “If our black face, your majesty, is disagreeable to your ministers, Ethiopians dislike white faces in men.” Latino’s mention of Ethiopia, one of the world’s oldest sites of Christendom, is an epistemological critique of concepts developing in Europe and later in the Americas about the intersection of race, religion and social status. Further, it should not be lost to us that Latino’s insertion of Africa into the origin of Christendom is in the context of a repudiation of Islam, a religion that had been present in Spain for the past 800 years and whose racially diverse leadership class included sub-Saharan Africans. 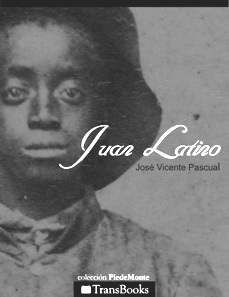 The historical figure of Juan Latino and his complex message open up a wide terrain for an analysis of the role of Spain and other European countries in their engagement with the international slave trade; Spain played a leading role in the establishment of the slave trade along with other European countries, such as Portugal, France, Great Britain, Germany, Italy and the Netherlands, among others. Opposing the barbarism of this international enslavement, Juan Latino and others like him contributed their knowledge to the Enlightenment of European societies. Mastering Latin, the language of the quest for science and modernity in Spain at that time, he introduced subtle, yet powerful ways of interpreting Black identity and the very concept of race in both the Old and the New Worlds. For CAAR 2017, we call for papers that would carry this exploration into the second and third decades of the twenty-first century. We seek proposals for individual papers, complete panels and workshops that focus on transatlantic connections and the contributions of Africans to Europe and the Americas and of Europe to the African diasporas worldwide. We would especially like to explore these diasporic encounters through a wider concept of diaspora literacy in order to comprehend and critically interpret the cultural backgrounds of Africa, Afro-America and the Caribbean from informed, indigenous perspectives, as well as with historical, cultural studies, literary, and any other relevant scholarly perspectives. We invite proposals that engage thinking beyond the linear Hegelian dualities, in order to embrace the complexities, axes of difference, borders, fragmentation, and multiplicities inherent in the realities and shared experience of the African diasporas. We welcome presentations that aim at questioning blackness in transnational and transitional terms, so that we can access the intricate dynamics of wholeness, complexity, along with double-consciousness and ancestral spiritualism that have developed following Juan Latino’s 16th-century remark on the reductive binaries of race. Explorations of the trope of migration as a major component in African American history, literature, and culture: from the earliest forms of African American cultural production—oral folk tales and spirituals, to the narratives of enslaved Africans and their descendants, to 20th and 21-st century migration narratives, including migratory circulations that include the Caribbean, Africa, and Europe. The history of Black people and their diasporas, of diverse peoples in constant state of motion and transition, including the recently more available stories of individual transitions, including across the borders of gender and sexuality, as well as those of intersex. The term “African diaspora” used metaphorically and against over-rigid, ideologized exclusionary concepts that work to the detriment of rigorous and imaginative research; Diaspora as a metaphor of change and interdependence between African, European and American cultures. The investigation of the locales to which the dispersed peoples went or were taken to, and in which their descendants are currently living; the study of the interaction between these centers and their peripheries at all possible levels; and the unceasing attempt to integrate these studies into the overall history of humanity; slavery and colonization, racial segregation and ghettoization as events of history, metaphors, or philosophical and political interpretive stances. The literature of the African diasporas created by the Atlantic slave trade in North and South America and parts of Europe; colonization and repatriation; recent migration and its impact on narratives of national identity and nationalism; dispersions of African immigrants within and without the African American communities of the United States, other Black communities in the Americas and Europe; the globalization of literature from the African diaspora. Proposals for panels, workshops and papers should be submitted online, at the following address:caar2017@caar-web.org by 1st November 2016. The organization encourages workshops proposals around groundbreaking topics such as the future of black studies or critics of intersectionality.